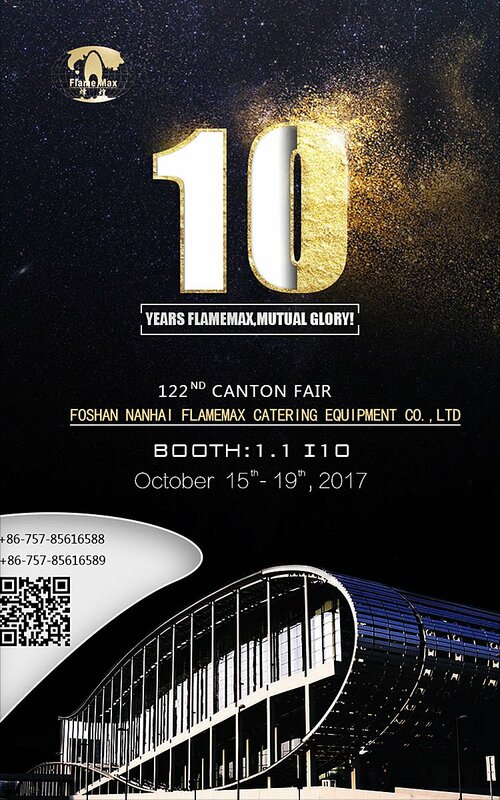 FLAMEMAX, Canton fair in Guangzhou China - China Foshan Nanhai Flamemax Catering Equipment Co., Ltd. The catering equipment manufacturer, FLAMEMAX, whom you can't miss! The 122ND Canton is coming again! Date: October 15th - 19th,2017. Maybe we are the manufacturer you are always looking for! Come and visit us at booth:1.1 I10. Let's have a nice time together!